We supply electric roller shutters Melbourne wide. Motorised roller shutters make them easy to use and are great way to operate many shutters at once. 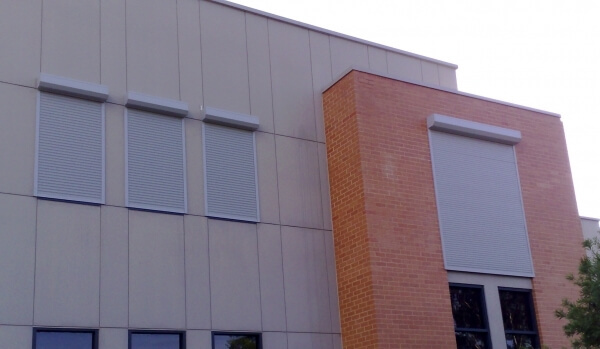 Electric roller shutters are a great way to insulate your premises from the heat and cold of Melbourne's weather. They also offer security from potential break ins being extremely difficult to open from the outside. So to save on heating and cooling costs and help secure your home, call Euroblinds for a free measure and quote. Electric roller shutters are used when ease of operation is desired, on very large shutters or when a manual operating method is not possible like on bay windows etc. In an emergency electric roller shutters can also be made to open on activation from fire and smoke alarms. Electric Roller shutters can be hard wired in or solar/ battery operated when wiring is too difficult. 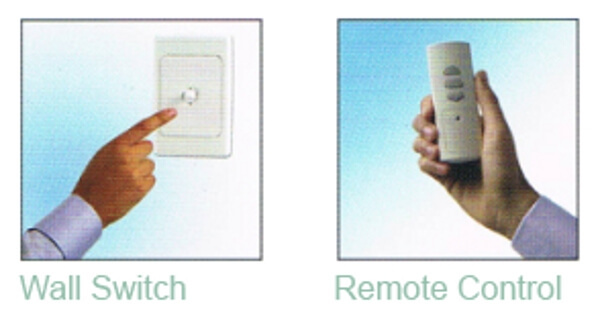 They can be wall switch or remote controlled operated making them easy to use and and more durable. Being motorised they can handle larger spans and heights as the weight of the shutter would break the winder cables of manually operated ones. If electric roller shutters have been fitted to all windows then it’s recommended that at least one shutter have a manual override in the event of a power blackout. All our aluminium roller shutters are made here in Australia incorporating powder-coated aluminium blades, tracks and rails and other high quality components. We have our own qualified electrician to carry out the electrical work for the motorised roller shutters. All our electric roller shutters and motors are backed with a 5 year warranty. Electric roller shutters can have wall switch operation, single or multiple shutter remotes as well as key chain remotes. Roller shutters are available in the standard rolled formed profile or the heavier gauge extruded profile. Residential, commercial and bushfire rated shutters all available in 10 different colours.Most have matching colour boxes, tracks and rails. Linking to fire alarms and smoke alarms is available for our electric roller shutters Melbourne wide.